While the world of smartwatches has seemingly stagnated for the time being, fitness trackers continue to roll out from just about every manufacturer you can think of, and even some you can’t. 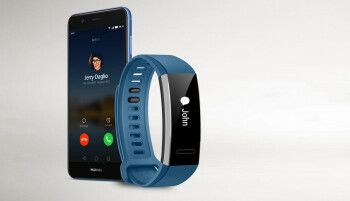 The range of functionality among these can go from pedometer to GPS-enabled exercise tracker; the Huawei Band 2 Pro is the latter. Packing a heart rate monitor and GPS, with the obligatory accelerometer, the Band 2 Pro can track sleep, runs, cycles, swims, and more. Yes, we said swimming, so 5-ATM certification is also in tow. 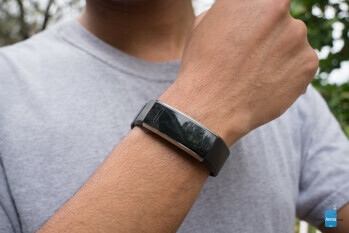 Selling for $70 (less than half the price of a near-comparable Fitbit which lacks GPS, or Garmin’s GPS-enabled VivoSmart HR+), how can anyone possibly go wrong? Right? Well, let’s see. The Band 2 Pro has a small profile, and looks almost exactly like the Fitbit Alta. From a short distance the two devices are nearly indistinguishable, aside from the textured design of the rubber band and the slightly wider frame of the Band 2 Pro. 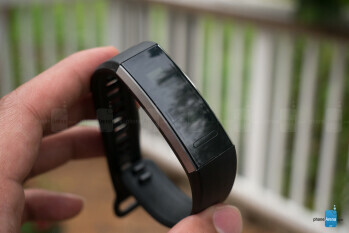 The body of the band has the same aluminum stripes on either side of the PMOLED screen with a black underbelly. We suppose there’s not a ton of different ways to style a fitness band, so we won’t harp on it, as you’ll be unlikely to do so either. The Alta was designed to be stylish and discrete, while pairing with everyday outfits relatively seamlessly; so being its doppelganger means the Band 2 Pro enjoys these same qualities. Bands aren’t interchangeable though, like on the Fitbit, but blue and pink color options do exist, in addition to the standard black. The Band 2 Pro feels comfortable on the wrist, though we wish there were a proper railroad latch mechanism (like those found on regular watches) rather than the snap-in latch. 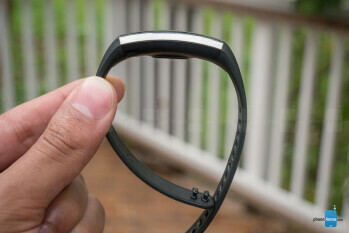 A few times in our testing, we found the Band 2 Pro unlatched without our knowledge. It didn’t fall right off – the metal pegs provided enough friction with the other end of the strap not to come completely undone – but if we were more pre-occupied with physical activity at those times, swimming perhaps, then the band would have certainly come off entirely. This is obviously a less than ideal scenario, which is why Fitbit has gradually switched over to the railroad-style bands for most of their devices. Using a PMOLED screen means that users will get great battery life from a black and white display. We had no issues seeing content in direct sunlight, but the screen is quite narrow. Built in a vertical orientation, notifications are largely useless when read on here. Even when you tap to scroll through the message, the Pro only cycles through about the first seven words. Inevitably, we’d usually end up taking out our phone when a notification buzzed on our wrist. The screen isn’t meant to display information, but rather provide entry to fitness tracking modes, be they running, cycling, swimming, or just taking long, mindful breaths. Below the display is a tap-sensitive area which, when tapped, cycles through these modes on-screen. A long press on one of them initiates the tracking. When finished, long press again to end tracking. No exercise data is displayed here and we’re pretty okay with that. Complete information is readily available within the Huawei Health ( Android) or Huawei Wear App ( iOS). The only annoyance we found with the interface is the tap-sensitive area. Though we had little issue with it registering taps when we wanted it to, we often found it registering taps and long presses any time the sensor was covered. For instance, putting a hand behind the head to relax, we quickly felt an affirmative vibration, and it wasn’t our chi re-aligning. Instead, the sensor touching the pillow behind us had registered as a long press, and activated an activity session. This was an annoying issue that lead us to, on more than one occasion, wake up from slumber, only to find that we’ve been engaged in a running session for the last 45 minutes. Somehow, this didn’t impact sleep tracking, thankfully. We can’t imagine that a proper capacitive touch area would have jacked up the price all that significantly, especially since even a $20 bump still puts this tracker way below any device offering GPS, and under the $100 mark. But ultimately this amounts to a minor annoyance, as it neither got in the way of our tracking, nor did it log the sessions it accidentally tracked, since there was insufficient data. For no apparent reason, the companion app is split in two for Android devices. First you have Huawei Wear, which simply controls your band's settings and initial setup. Here is where you toggle do not disturb mode, set alarms, choose wearing preferences, and other such things. 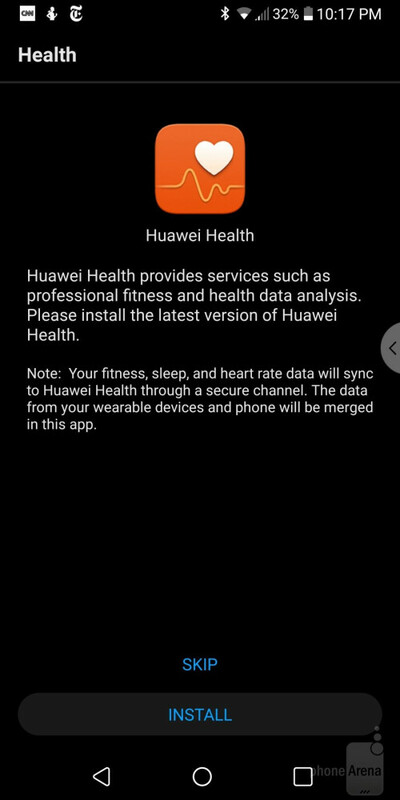 Meanwhile, you’ll have to install the Huawei Health app to sync and view your exercise data. This is not unlike the relationship between the Samsung Gear app and Samsung Health. However, the Huawei Health app doesn’t have the ability to sync your exercise data to a personal account, as Samsung does – a huge drawback for anyone who ever plans to get a new phone. Further confounding is the fact that iOS users need only the Huawei Wear app to serve all the same functions of the two Android apps – no extra features or benefits were apparent, and we of course preferred having all the info in one place, as opposed to two. Thankfully, both the iOS and Android apps can share data with Apple Health and Google Fit, respectively. Enabling this data-share means that very basic exercise data will be backed up through the respective apps. This is limited to steps, distance, heart rate, and calories burned. More specific information, like mile-split times, pace, efficiency, VO2Max, and other more informative metrics, will not be saved. So, if you’re someone who likes to keep close track of their progress, or simply don’t want to lose such data in switching phones, then this may not be the best bet for you, at least not until Huawei has an answer for this. Otherwise, the device itself seems to hold about a week's-worth of information; swapping between two phones was very easy to do – even between an iPhone and Android device. Simply un-pair and re-pair through the Bluetooth menu and voila, you’re ready to track in whichever respective companion app; the Band will sync up any data it already has stored on it. Within your platform's appropriate app(s), you’ll be able to set functions like Huawei TruSleep, for sleep tracking; smart alarm, for intelligent wake-up times, and do not disturb. While it would be nice to have all of these within the Band 2 Pro’s interface, we would happily settle for a do not disturb toggle – perhaps a double tap on the sensor – since having to unlock the phone, open the app, find the setting, switch it on, confirm it, then lock the phone, and put it away is a few more steps than we’d like to take when we need not be disturbed. Exercise data and relevant insights are well-organized and useful. Throughout the entire app, you’ll find tips for various health topics as well as cited sources for each one. This is especially evident in the sleep section, where studies are used as citations for various suggestions and insights into your sleeping habits. 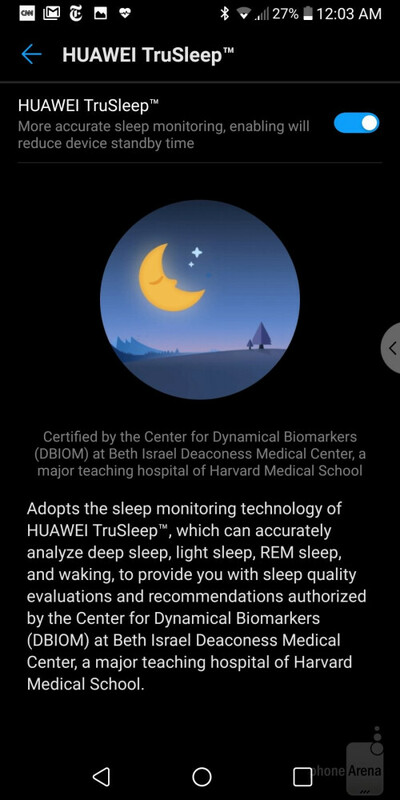 Huawei’s TruSleep software itself showed strong accuracy in automatic tracking, on the level or higher than that of Fitbit’s. 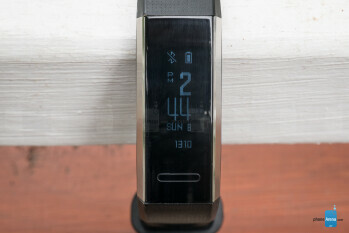 The Band 2 Pro was certainly more proficient, consistent, and accurate than the Samsung Gear S3 we used alongside it, leaving it hard for us to get back in bed with the Gear after this experience. Thanks, Band 2 Pro. Sleep tracking wasn’t the only area in which we saw the Band 2 Pro beat our Gear S3. Manual run tracking was also more consistent and accurate, likely due in part to the fact that the Pro zero-ed in on our GPS location much quicker than the many-radioed Gear S3. This not only lead to better consistency in runs but, of course, higher accuracy in quantifying exercise results. Given this, we’d expect similar proficiencies in cycling and swimming, as well. Exercise tracking has some built-in tools on the Band 2 Pro, which allow the app to deliver reports on progress that go beyond times, pace, and distance, offering VO2Max, and fitness assessment, as well. VO2Max is a measurement of how efficiently your body is using the oxygen it inhales. 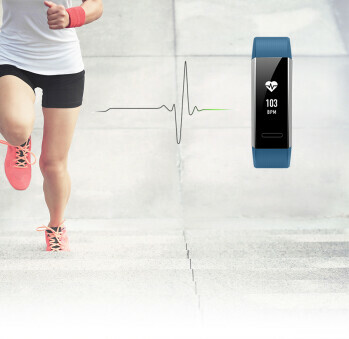 The Firstbeat system, as Huawei calls it, takes results from your runs (most likely heart rate, distance, and time) to estimate your VO2Max. Improving this meta-metric shows improvements in cardiovascular health, and, short of running in a lab with equipment you’ve only ever seen in Gatorade commercials, this is a nifty way to help keep track, which we also found to be consistent, even if not totally accurate. You can also create tailored workout plans within the companion app. Unfortunately, this is limited to running, wherein you can choose between four different distance goals (5K, 10K, 13.1 mi, or 26.2 mi) set a desired time for your chosen distance, and based on your best 5K time, the app will create a tailored path to this goal. Pretty cool to have if you’re a long-distance runner, but we’d like to see more content for different kinds of fitness goals and activities i.e. interval training, strength and conditioning. The Band 2 Pro easily lasts well through a week’s time without any exercising sessions – just tracking sleep and regular day-to-day movement. Even with some dedicated tracking days interspersed, the Pro still gets about a week of use with its 100mAh battery. Huawei rates the battery at 3.5 hours of GPS usage, and although we’re not at the marathon levels of fitness it would take to test this, we’re pretty convinced considering what we’ve found in our testing. The Band 2 Pro does a lot of things right. Accurate tracking is first and foremost, but a price that undercuts all competition by a factor of TWO makes this a near must-buy for a variety of users. 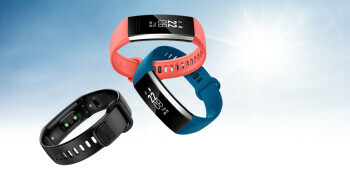 Buy the Band 2 Pro and gain heart rate and GPS tracking. 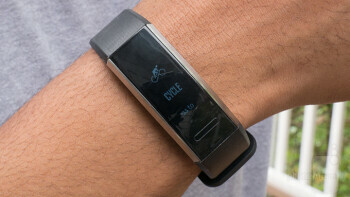 If neither of those two things matter to you, then a Misfit device or Fitbit Flex may be great options as well. You’ll also gain a more mature companion app with account syncing in choosing one of the Band 2 Pro’s competitors here. 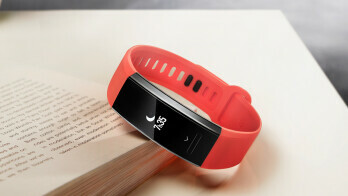 Buy the Band 2 Pro and gain heart rate and GPS tracking. Especially if you’re tracking one of those three exercises, GPS and heart rate monitoring are great advantages that you simply won’t find at this price point. 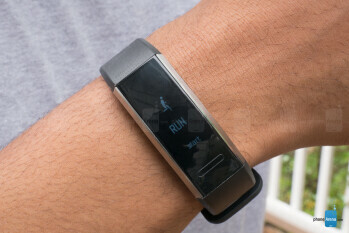 Only Garmin’s VivoSmart HR+ matches the Band 2 Pro’s capabilities here, but this device costs around $200. We’d love to hear how you find this device in your training, since technically it has the capability to track such activities, with heart rate and GPS sensors to boot. Especially considering the multi-hundred-dollar prices on many of the trackers in this category, it may just be worth it to spend the $70 and give it a shot. For more specialized tracking regarding specific activities like yoga, weight-training, etc., you’ll have to dive a bit deeper into the scene to find the tracker best suited for your activities. Otherwise, for the capabilities listed, and selling at $69.99 it’s almost a no-brainer. Almost. The one thing that evokes any hesitation in us is the fact that, as of right now, none of your fitness data gets backed up to an account, and therefore is only stored locally on your phone. What are people supposed to do, Huawei?! Keep the same _phone_ for the rest of their lives!? OK, sorry for the outburst. We suppose if you don’t care about losing old data after a _phone_ switch, then there’s really nothing that should hold you back from making this your fitness tracker. At this price point, and with these capabilities, the Band 2 Pro is a tough one to beat.